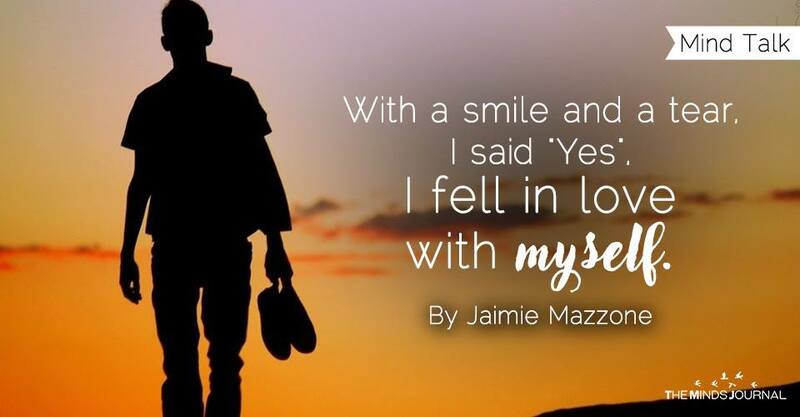 With a smile and a tear, I said "Yes", I fell in love with myself. I told you if you loved me, don’t let me go. I was going through a shift in consciousness. I begged for you to have patience. I understand the last 6 years were challenging. You saw me sway like a tethered boat, the ups, and downs. We had a great loss that we both needed to heal from. During this time, I found myself at the end of the void, reaching out my hand to you. Begging you to have an open heart and mind. What I discovered was the holy grail. I was so excited to tell you what I have found, I realized then as I was telling you, trying to grasp and explain in words that could not offer any explanation. You thought I was crazy and the look that you gave me broke my heart. To be honest, I thought I was going crazy myself, However, I know what I saw and what I felt was true. Instead of listening, you judged me. So, I took the quantum leap of faith. When I awoke, everything was so different yet so familiar. The colors were brighter and I felt more like home than I have ever felt. For the first time in years, I saw you and us on a higher level. I was looking down at the situation and realizing that it all was supposed to be. Exactly how it was. I realized then that our paths have divided. I know you were upset and hurting and the hurtful words said were only the child inside screaming and projecting the pain. I kept a clear head and with my highest intentions for all and most importantly myself, I forged my own path. I came out the other side where I could no longer see you or feel you. I came out the other side and I found my family. Not just any family, but the family I have forgotten about. There is when I found myself, a small light that has been burning this whole time, I fanned it with my intention and it burst into flames. And when you asked me before I left, “Are you in love with someone else?” With a tear in my eye, I said “Yes, I fell in love with my self for the very first time” I let the single tear drop down her cheek and walked out the door. As soon as I walked out, she felt the spirit in a single breeze dry her tear up in an instant. This is where my story started because I remembered who I truly was. Not what I thought I was, but what my eternal being was. This was not another chapter ending, this was a continues story to a neverending story that we all have. When you said I would never amount to anything, I smiled and said I AM ALL THAT I AM. I realized I had the power the entire time all I had to do was surrender and remember I know my purpose and why I came back here.